Patient gamers could be rewarded this Black Friday. 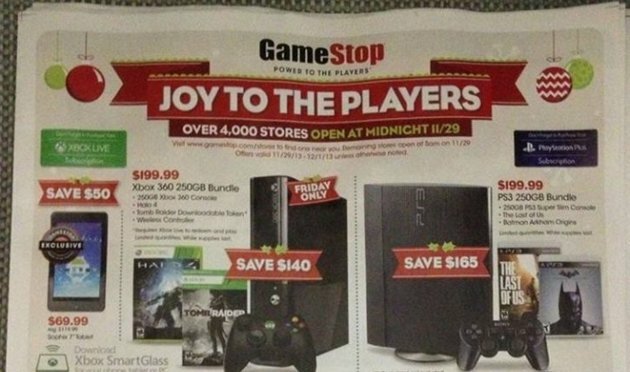 A newspaper circular for GameStop’s holiday deals has leaked onto the web — and if’ you’re in the market for an Xbox 360 or PlayStation 3, the retailer has some terrific deals in store. Zelda fans, meanwhile, will be able to get their hands on a bundle they’ve only been able to admire from afar.